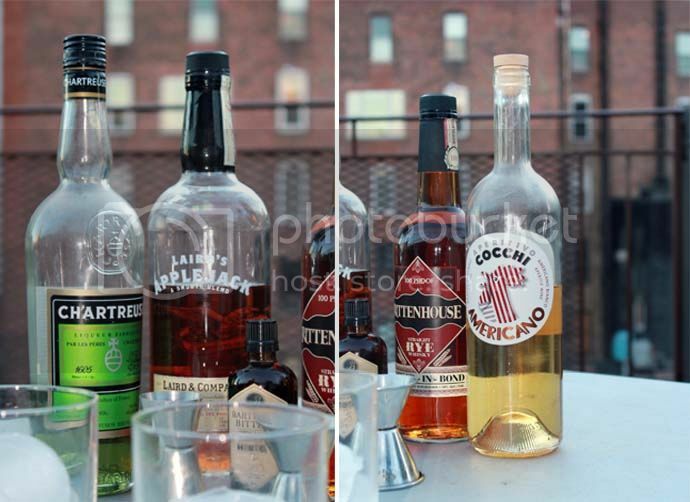 Earlier this week we climbed to the rooftop of our building to savor some last hints of warm weather, and to stir up the Harvest Moon cocktail. 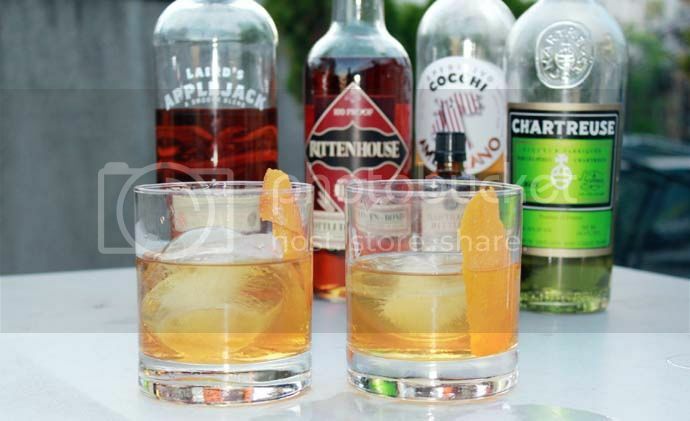 The name seems appropriate for this time of year, and the recipe comes from one of our favorite cocktail books. The bar itself may be a little overwhelmed by tourists (and wait lines) at this point, but they still make some of the best drinks in the city and the book is full of really interesting options. The Harvest Moon includes one of my favorite cocktail ingredients, Green Chartreuse. While it’s a splurge to stock on your bar, I love the grassy tang and the bottle will last quite a while. With all of the fuss surrounding pumpkin spice this and that, I’m going to admit…I’m not a fan. I can handle a few sips of a Pumpkin Spice Latte before the falsely sweet flavor becomes jarring. Instead I prefer pumpkin bread, apple muffins, and treats that embrace the real flavors of the season. 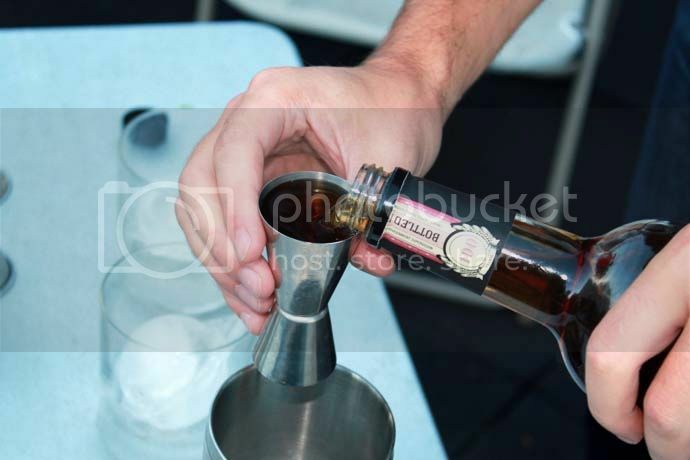 With that in mind the boy came up with a delicious seasonal sip for our dinner gathering last weekend. 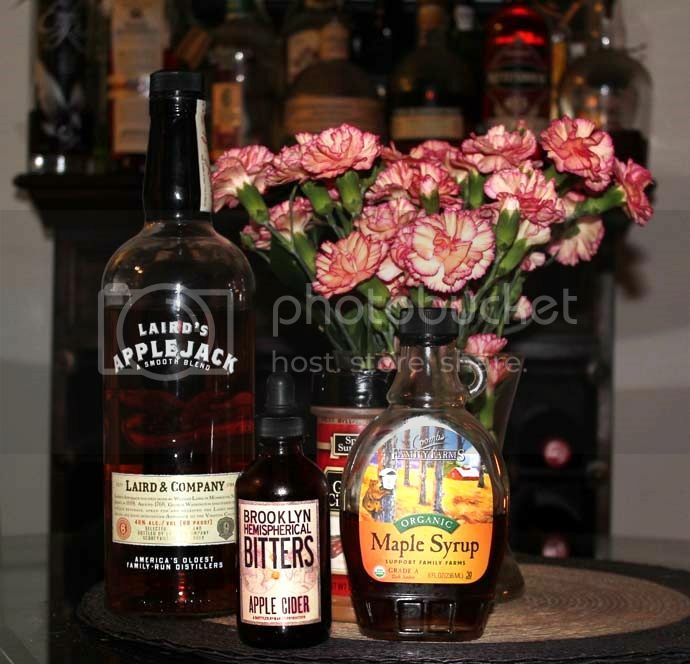 Based off of a traditional Manhattan cocktail, we switched out bourbon for Apple Jack. Ok, maybe it’s not exactly natural, but the combination of Apple Jack with cinnamon and a touch of maple syrup gives you the warm and cozy feeling we’re all looking for during this time of year. 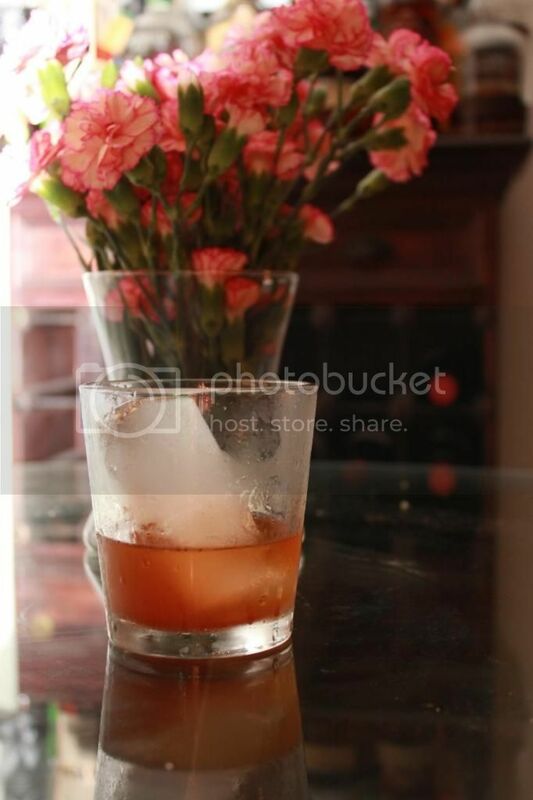 Stir in a chilled rocks glass and serve over ice.